NEW Potion Purple Minnie Ears Are Putting a Spell on Us…And Arriving In Disney Parks Soon! 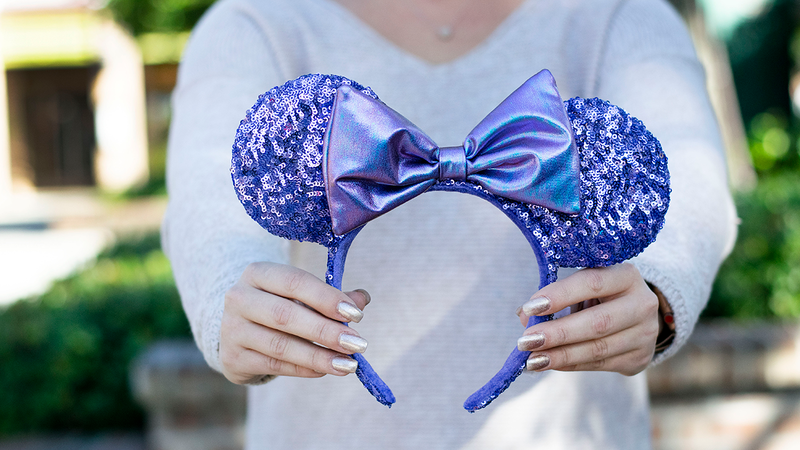 Last year, we had the Rose Gold Ears frenzy. In March, Millennial Pink Ears took over. Now, guess what’s arriving at Walt Disney World on December 26, 2018? That’s right – POTION PURPLE ears! One Day Only! 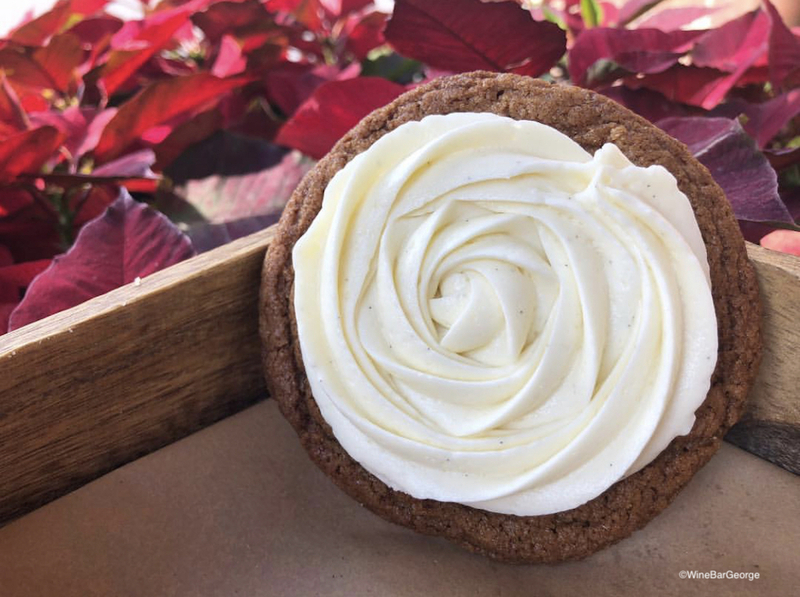 Get Your Frosted Gingersnap Cookie at Wine Bar George in Disney Springs for National Cookie Day! Tomorrow is National Cookie Day, and Wine Bar George at Disney Springs has a special way for you to celebrate! That’s right: for one day only, you can get your hands on this almost-too-beautiful-to-eat cookie. 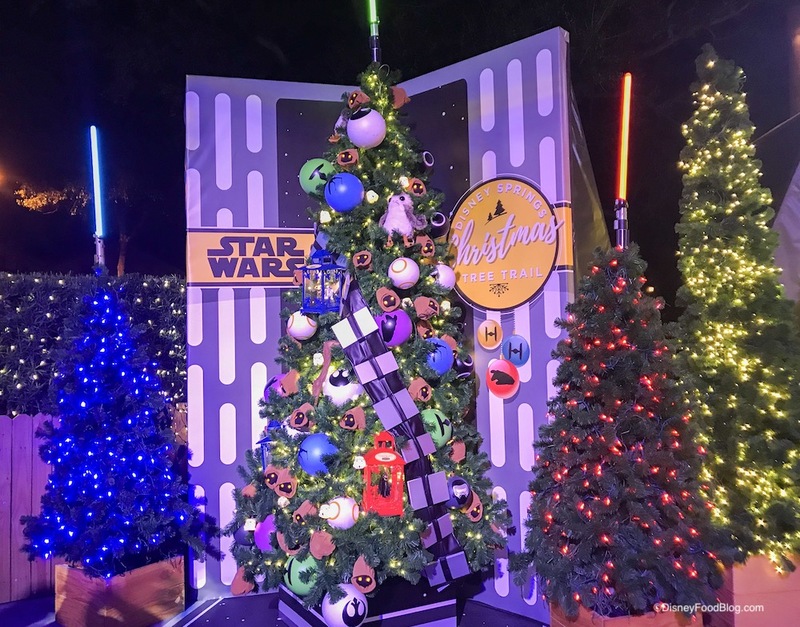 Everything You Need To Know About The Holidays at Disney Springs! Food, Discounts, and More! 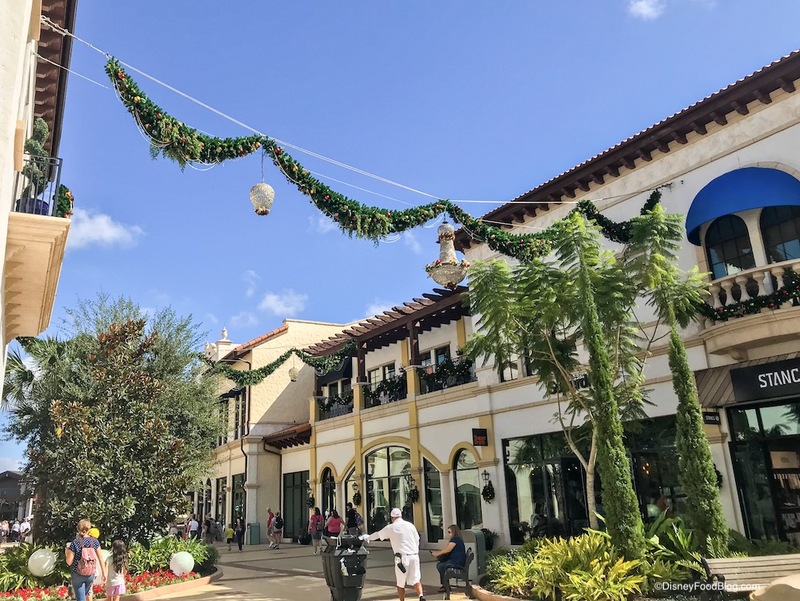 If you’re familiar with Disney Springs, you already know it’s a great destination for shopping and dining. 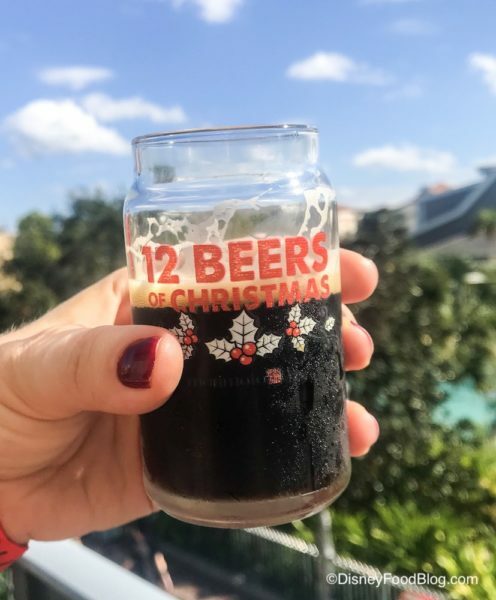 Now that the Holidays at Disney Springs have arrived, though, it’s getting even better. 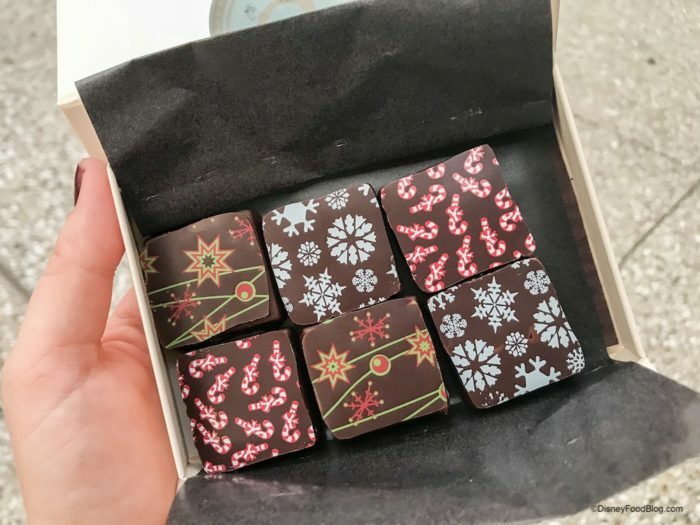 Imagine dozens of restaurants and more than 100 stores all decked out for the holiday season. Want to know more about how you can experience the sparkling lights, Christmas music, live entertainment, and holiday festivities? We’ve got you covered! Guest Review: NEW Breakfast Items at D-Luxe Burger at Disney Springs! 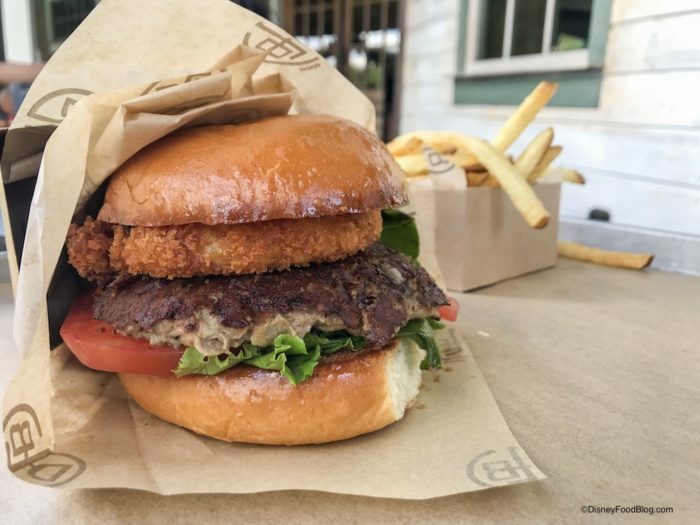 D-Luxe Burger at Disney Springs started offering breakfast this morning, and DFB reader Krystle O. was kind enough to share her review with us! 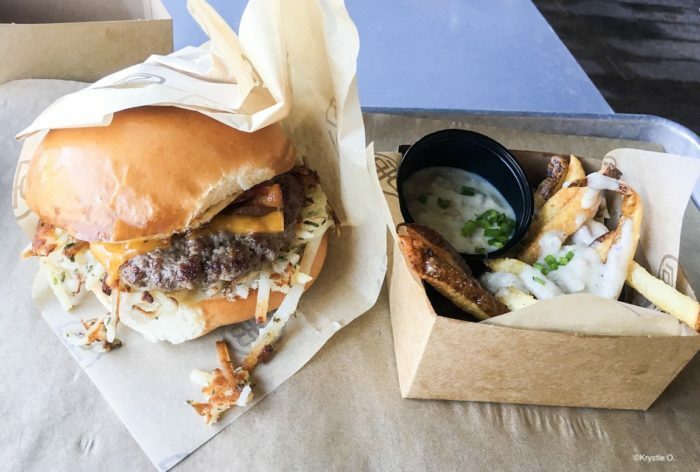 As a special treat for Disney Springs holiday shoppers, breakfast at D-Luxe Burger is available daily from 8:30 AM – 10:30 AM until January 1, 2019. Want to know if it’s worth a stop? Let’s find out… . Alert, alert: a new flavor of Wine Slush has arrived at Walt Disney World! This is not a drill! Don’t worry: we’re here with the details. Cue the confetti! 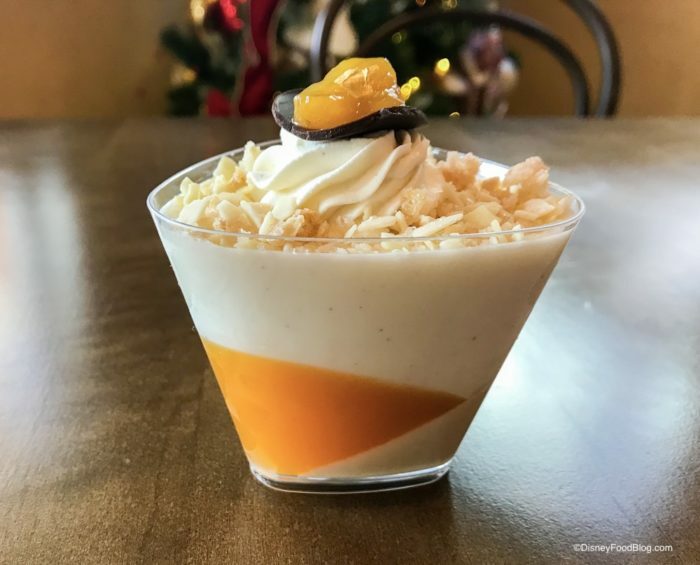 We also have a review of the beautiful, seasonal Apricot Peach Verrine dessert for you. (So many verrines this year.) It’s all part of the Holidays at Disney Springs. You probably want to start with the wine, right? Amorette’s Patisserie at Disney Springs introduced the world to the magic of Wine Slushies a little over a year ago, so we were pretty jazzed to find a new seasonal wine slush flavor on the menu: Cranberry Chardonnay. We’re used to dining with friends at T-Rex Cafe. Among our pals in this prehistoric dining joint are a Triceratops, a Wooly Mammoth, and a gigantic moving Octopus. But for select dates in December, another friend — and his wife — will be joining guests at T-Rex in the Marketplace of Disney Springs. Because Mr. and Mrs. Claus will be the honored guests at Breakfast with Santa! Typically, T-Rex only serves Lunch and Dinner. 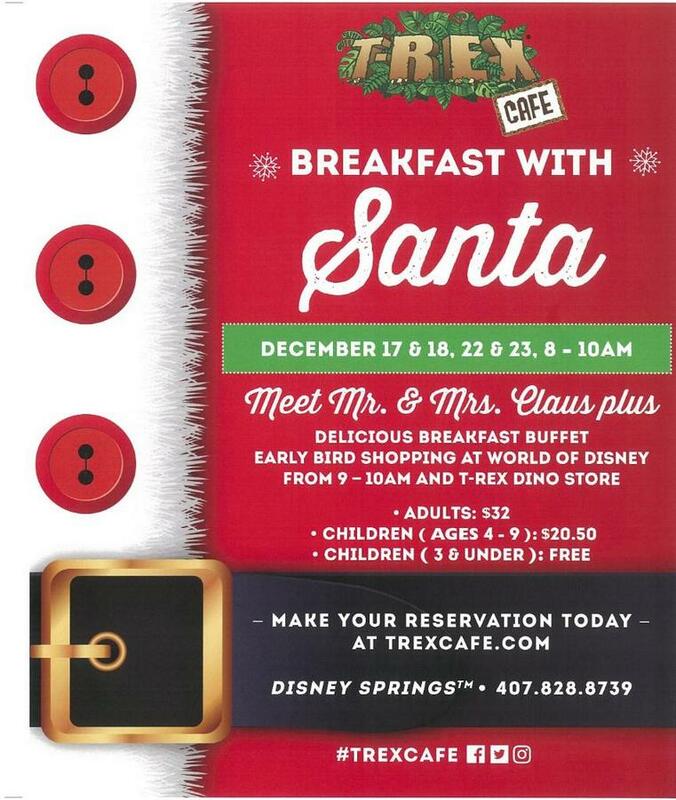 However, on December 17th, 18th, 22nd, and 23rd, T-Rex will host a breakfast buffet that will also feature easy access to Early Bird Shopping at the World of Disney Store (from 9 – 10 am), and the T-Rex Dino Store in addition to the chance to meet Mr. and Mrs. Claus.